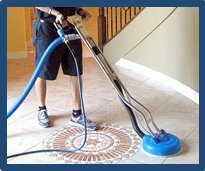 What makes Tile Grout Cleaning League City stand out among the other professional tile and grout cleaning companies is that we have over 30 years of experience and we are a local company that services League City and surrounding areas. We are just like you. We want great quality and service with a really great price. Our tile grout restoration process is impeccable and one of a kind. It’s no other professional tile cleaning that cares about each job we do like we do. Our mission is to give each one of our customers the best tile grout restoration you will ever see. We even take before and after pictures just to show you side by side the work we are capable of doing. Give Tile Grout Cleaning League City today. When you have a marble floor you notice immediately that there is a shine and luster to your marble floor that makes it stand out. After years and years of wear and tear your marble floor can start to appear dull and lifeless. Tile grout cleaning League City does more than marble cleaning services. We restore the look and color of your marble floor plus we make it shine like the first day it was laid down. If you don’t need marble cleaning services that is ok. We do tile grout restoration and we can even help you in removing grout and cleaning it too. We are an all-around tile restoration company. Give Tile Grout Cleaning League City a call today.